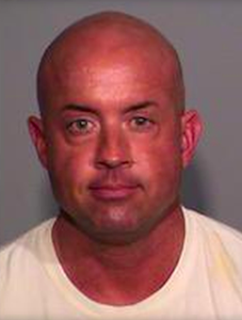 Police officer Jason Thomas had a no contact order with a woman who accused of attacking him was charged for sharing their relationship on Facebook. On April 16, a judge ruled that the two were to stay away from each other after the woman, Amanda Nickless, attacked Thomas. Nickless was charged with battery resulting in bodily injury and criminal mischief. Police say that the two disregarded the court order, and posted their relationship on social media while Thomas was laying to fellow officers about their relationship. Their relationship supposedly continued the day after Nickless was charged, and Thomas picked her up from jail after she posed bond. She failed to show up to her newxt court hearing, and a warrant was issued for her arrest. Thomas was questioned about her whereabouts, and he claimed to not know where she was. In the next several months, Thomas continued to post pictures of the two of them together on Facebook. 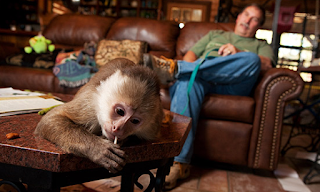 Children in an Oklahoma foster home were forced to live in a trailer with 10 monkeys, which was just part of the collection of animals the foster parents kept. The Matthews family moved into the trailer after their house burned down in 2011. Eight to eleven children and two to five adults lived in the resident at a given time. The property also had twenty to fifty animals including lemurs, raccoons, dogs, cats, horses, donkeys, and others. The guardians of the children say that Human Services got over 17 reports of abuse over ten years including mental and physical abuse, neglect, dangerous living conditions, failure to protect, failure to provide adequate health care, failure to educate minor children, and unsanitary living conditions. The Idaho Supreme Court ruled that the state of Idaho has to pay the Coeur d'Alene Tribe around $57,000 in legal fees, half of what was originally requested from the tribe, because of a case that involved the legality of betting machines used for instant horse racing. 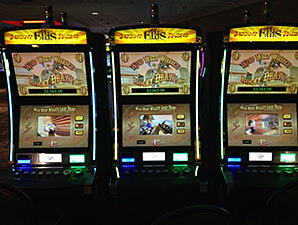 Governor Otter vetoed legislation that would have banned historical horse race betting machines earlier this year. The Tribe disputed that Otter didn't complete the veto in time, and the court agreed. Since the court ruled in favor of the Tribe, horse racing parks were forced to remove over 200 of the instant horse racing terminals because the legislation is now in effect. DEA Agent's Daughter Deals Drugs? 19 year old Sarah Furay was arrested for allegedly selling drugs. Furay is the daughter of a Drug Enforcement Agency Agent. Her father is a supervisory special agent and has worked there for over 20 years. The police arrested her after getting a warrant to search her apartment. They found cocaine, marijuana, ecstasy, methamphetamine, and a drug similar to LSD. Furay is going to be charged with four felony charges including manufacturing and delivery of a controlled substance, and drug possession. Oops. Somebody who slept through all of those DARE presentations in middle school is not going to be driving daddy's car for a while...possibly not for the next 215 years. Now she is a student at Texas A&M (Agriculture and Military), finding herself in a profession in which agriculture and guns often go hand-in-hand. 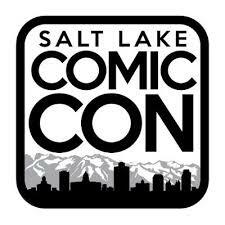 Jonathon Wall of Layton, Utah has plead not guilty to charges suggesting that he posed as a federal agent to attempt getting VIP tickets to the Comic Con in Salt Lake City. Prosecutors said the he claimed to need the passes to catch a fugitive at the event. He was caught after a security guard got suspicious of his claim of being an Air Force Office of Special Investigations agent. Wall is being charged with impersonating a federal officer and making false statements. I have a lot of friends who go to the Comic Con get-togethers in Salt Lake City. Many of them dress as super heroes or comic book characters. I shall warn them not to dress as a federal agent next time they attend, even if that character does appear in a comic book or movie. 44 year old Jennifer Terry from Ogden was charged with a misdemeanor count of causing a a catastrophe based on accusations that she drove around town with her daughter and other minors, and threw eggs at houses and cars. 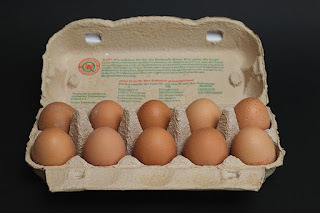 Investigators say that they threw eggs at as many as 20 homes in the Ogden area on August 20th. Prosecutors estimated the damage at around $2,350 to one of the home's stucco and $3,000 in damage to a car's ignition. Other damages include broken screen, windows, and ruined furniture. Prosecutors have said that Terry told the police that the reason she did it was due to family issues. It is unknown if the minors will be charged in juvenile court. Two children were left at home while the mother went away to go to a club. The one year old girl wouldn't stop crying, then the 8 year old boy got annoyed and started attacking the young child. The boy ended up beating the one year old to death. The 8 year old's case is going to be in juvenile court, where criminal charges aren't allowed, and he is in the custody of the state. The mother has been charged with manslaughter and is out of jail on a $15,000 bond. She and her friend left her five children(all under 8) from 11pm until 2 am the next morning, and the police didn't get a call about what happened until 10:30 am. 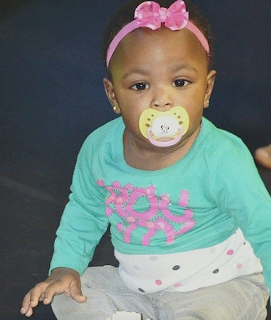 They believe if they had been called sooner they could have prevented the death of the one year old. The five children of the friend have been removed from her care and are in the custody of the state of Alabama. has been charged on dozens of counts of Permanent Fund dividend fraud and felony theft. Billy Brow faces 24 felony counts and is accused of illegally obtaining $13,080 in dividend cash. While five other members are all facing four counts of unsworn falsification and four counts second-degree theft. As of November 18, the father and one of the sons would have plead guilty to the misdemeanors under a plea agreement, but Judge Philip Pallenberg rejected the deal because he believes that they deserve jail time. 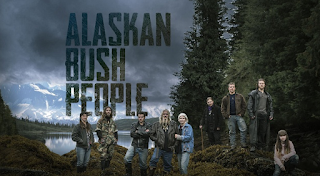 Judge Pallenberg said the family stole $20,938 by lying on applications for Alaska's annual oil revenue windfall check. No Driver - No Ticket? 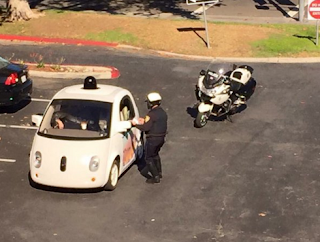 A police officer in California pulled over a Google self driving car for driving too slowly. It was driving 24 mph in a 35 mph zone, and traffic was getting congested behind it. The police officer noticed that no one was driving it, but there was a passenger inside(California law requires someone to sit in the driver's seat of self-driving cars, though the person isn't actually driving). The officer pulled over the vehicle and informed the passenger about section 22400(a) of the California Vehicle Code that refers to the minimum speed law, so traffic isn't impeded. In a later blog post, Google said that their cars have their speed capped at 25 miles per hour for safety reasons. The officer determined that the car didn't break any laws, so no ticket was issued. The self-driving cars are considered "neighborhood electric vehicles" under the California Vehicle Code, and can be on roadways with speed limits at or under 35 mph. Texas A&M is in the process of suing the Indianapolis Colts for trademark infringement and unfair competition because they believe that the Colt's use of the 12th man in their advertisements is a violation of its trademark. Texas filed their official lawsuit on November 12 in federal court. They also cited that they sent the Colts a cease and desist order in 2006 after the team used the 12th man phrase inside their stadium. The Colts responded that they wouldn't use it outside the stadium, but they kept on using it which resulted in more cease and desist orders in 2008 and 2012. Texas A&M sued the Seattle Seahawks in 2006 for the same infringement and that ended with a settlement of $5,000 per year to Texas for licensing the slogan. filing a $25 million lawsuit. The police first encountered Lambert at a motel because people had complained about his behavior. When they arrived, they handcuffed him and placed him inside the police vehicle. They drove him to the hospital because they were worried about his behavior. Once they arrived at the hospital, Lambert kicked the window of the car and the officers asked him to calm down. They then removed him from the car, and he immediately broke free and ran from them. 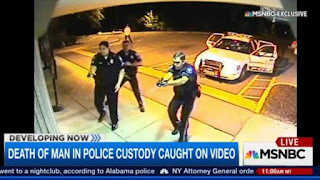 One of the officers decided to shoot Lambert with a taser, which induced cardiac arrest and killed Lambert. There is video of the entire event. 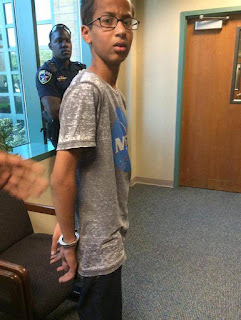 Ahmed Mohammad brought a homemade clock school which was mistaken for a bomb and caused a huge uproar in the middle of September. Now he and his family are demanding that the city of Irving, Texas, and the school district pay Ahmed $15 million or he is going to file a suit against them. The family is now living in Qatar and the family says that Ahmed is suffering from trauma from the incident. However, through all of his “severe psychological trauma" he has very busy. Ahmed has met with President Obama, appeared on Dr. Oz, met Sudanese President Omar al Bashir and Turkey Prime Minister Ahmet Davutogl, and traveled to Mecca where he was a special guest of Saudi Arabia King Salman bin Abdulaziz Al Saud. The school has said that their actions were justified, but the family doesn't want to release the records.